Most book enthusiasts can recite the biggest names in their collections, but Jozsef Tari is only concerned with the smallest titles. His huge collection is so tiny that if you didn’t know what you were looking for it would be easy to miss it. 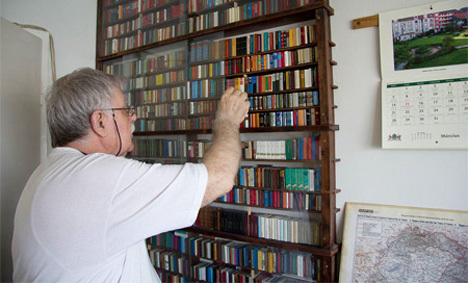 Tari is a lover of little literature: he has an incredible collection of more than 4500 miniature books. 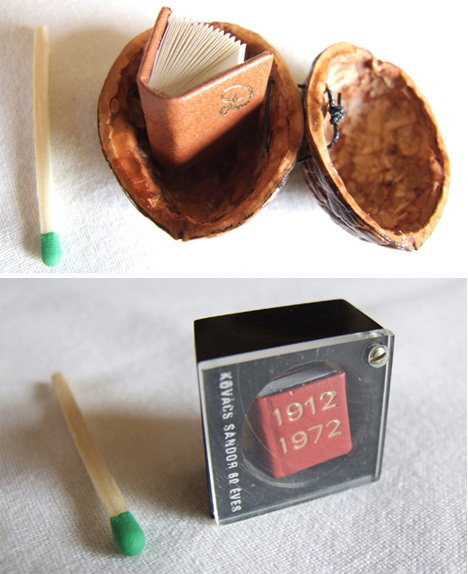 Miniature books first came into fashion way back in 1475 when the tiny tomes were produced as novelties. 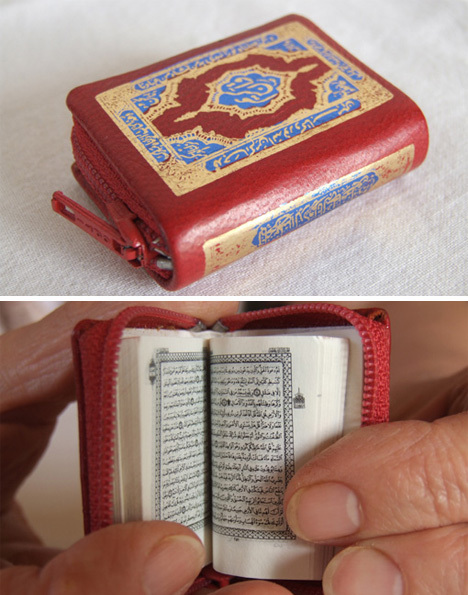 After a short time, printers began producing the small volumes to show off their skill. It obviously took a great deal of technical knowledge and talent to produce these perfectly printed books at such a minuscule size. 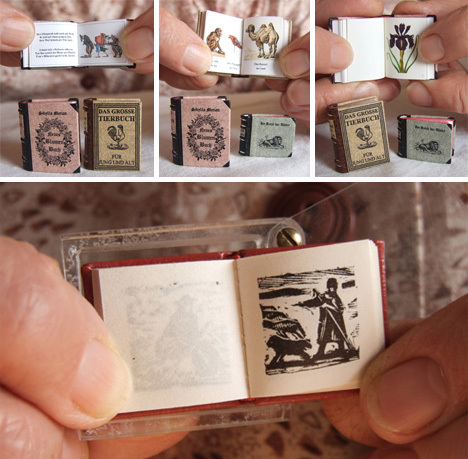 Books are generally considered “miniature” if they do not exceed 100 mm (3.9 inches) in height, width or thickness. 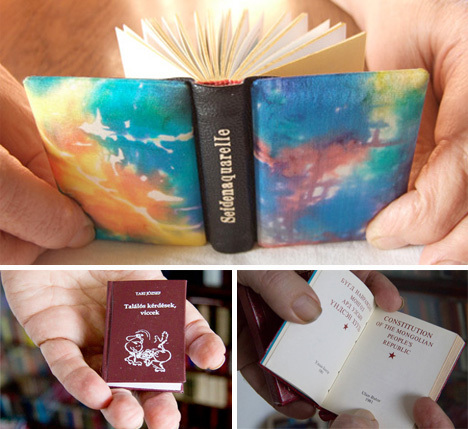 While you can fit several little books into the palm of one hand, they all contain perfectly legible print just like their full-size counterparts. You may need a magnifying glass to read that print clearly, however. Some of the books even contain surprisingly detailed pictures. 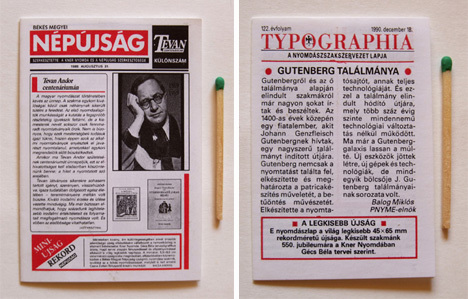 Hungarian collector Jozsef Tari has been collecting miniature books and newspapers since 1972, and he has even published a few mini books of his own. His collection includes books in all types of subjects from art to politics to cooking and everything in between. Though most of Tari’s collection is Hungarian, he also has plenty of foreign books from places like Japan, America, Canada and Indonesia. The sources of pride in his hugely tiny collection are those with unusual covers made of china, carved wood or tooled leather. 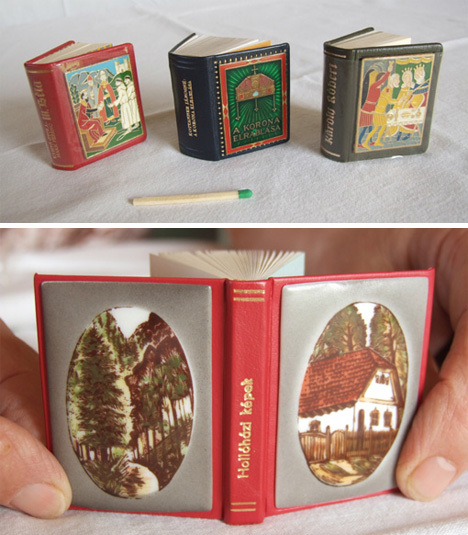 According to Mr. Tari, whose oldest book is more than 100 years old, miniature books are hardly manufactured these days. 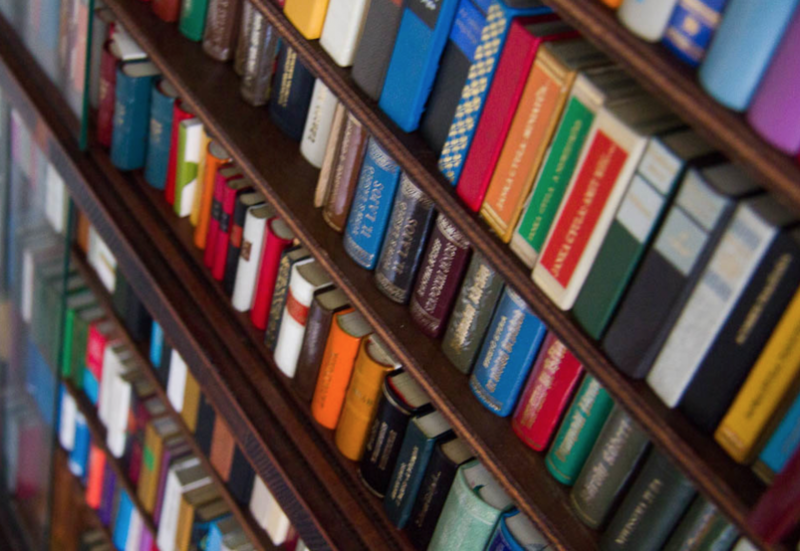 The majority of the presses that used to produce them have ceased to operate, leaving a tiny rectangular void in the lives of those who long to add to their Lilliputian libraries.